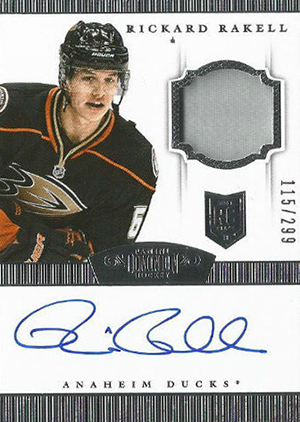 Traditionally, hockey card collectors have had to wait until the end of the season to land ultra high-end rookie cards. 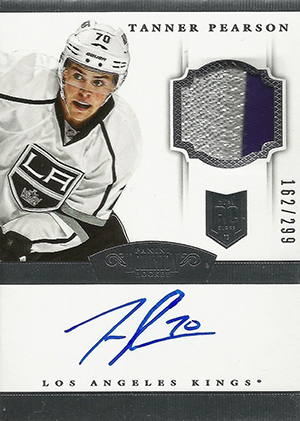 But 2013-14 isn't your ordinary year. 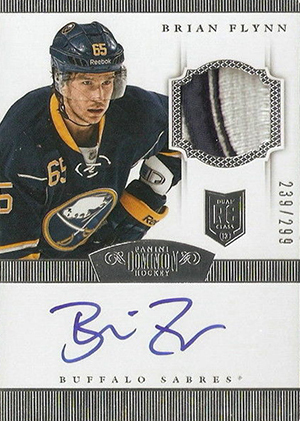 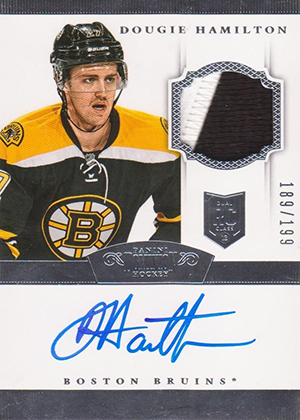 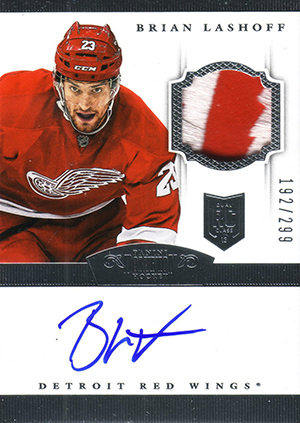 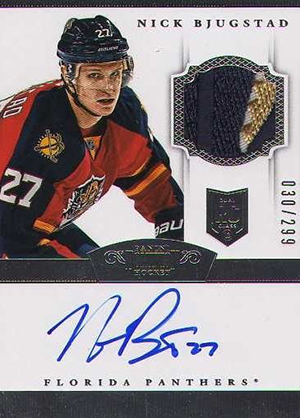 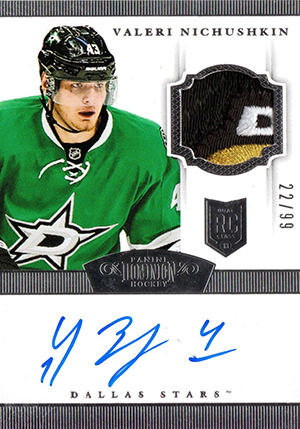 With the double-rookie crop going in full force, 2013-14 Panini Dominion Hockey Rookie Patch Autographs arrive mid-season. 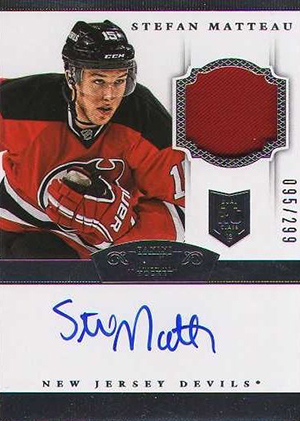 Not only are they some of the first on-card autographs of the year, but all are accented by patch swatches. 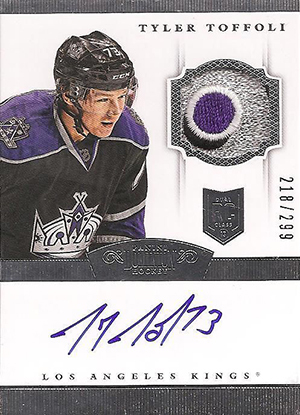 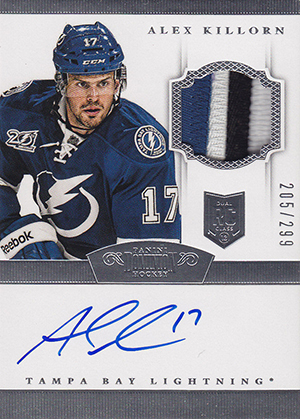 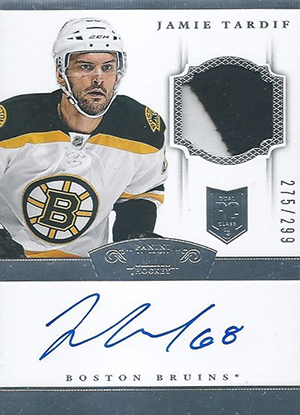 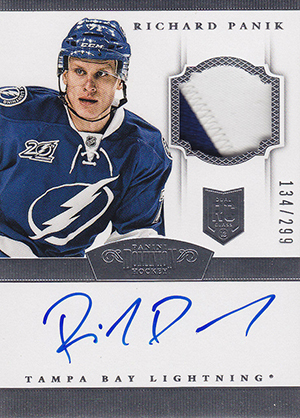 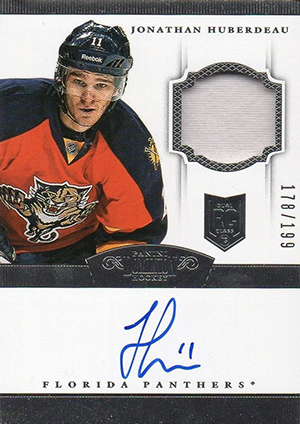 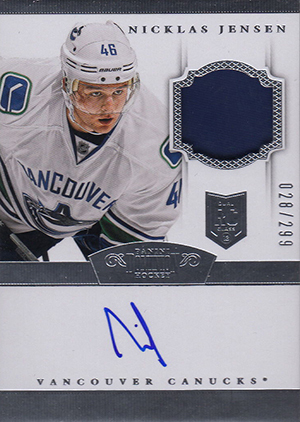 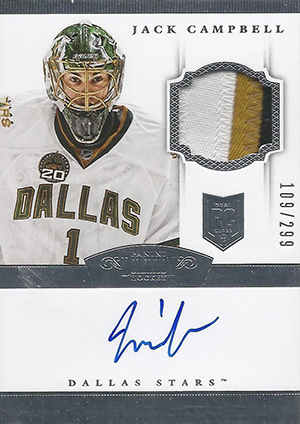 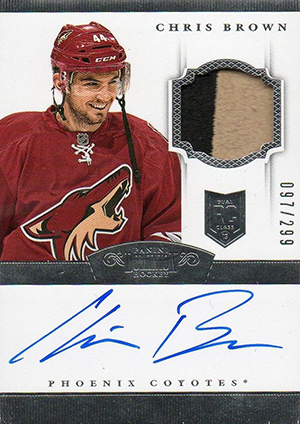 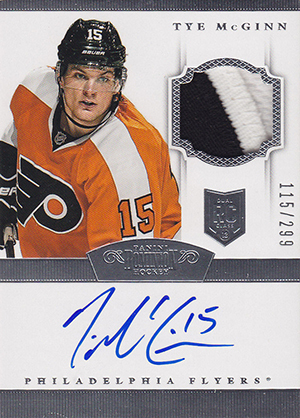 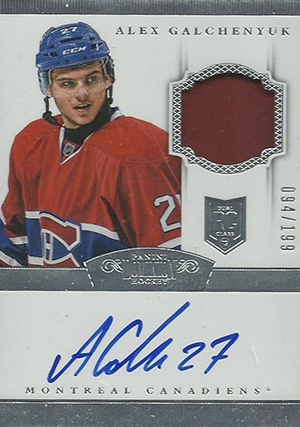 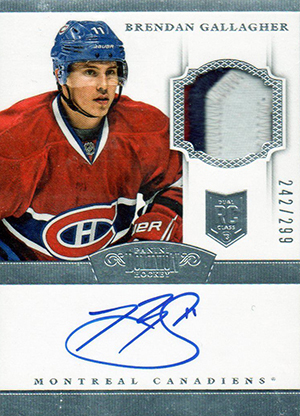 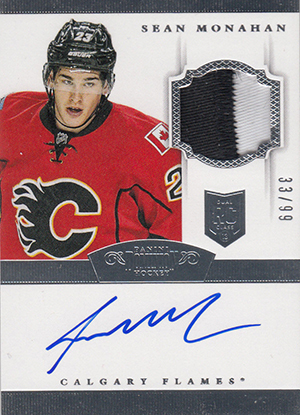 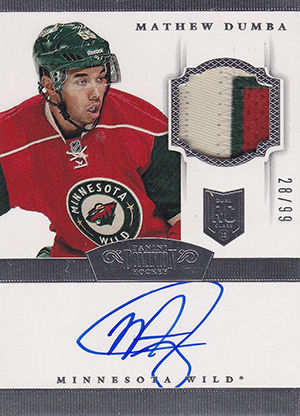 Shop for 2013-14 Panini Dominion Hockey Rookie Patch Autograph cards on eBay. 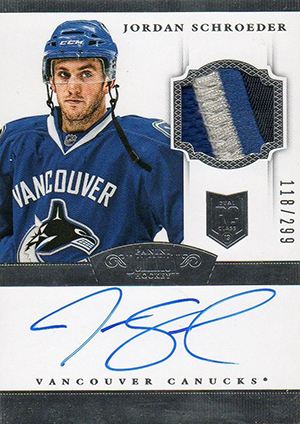 Part of the main set, 2013-14 Panini Dominion Hockey Rookie Patch Autographs are true rookie cards. 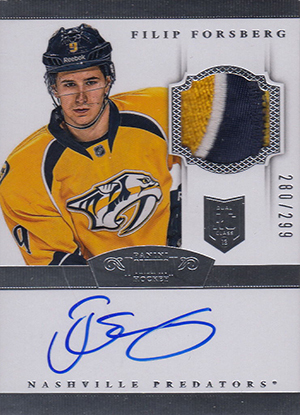 All are numbered to 299, 199 or 99. 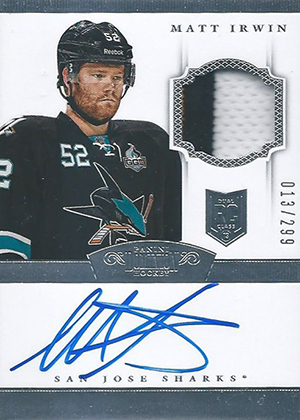 As a general rule, the top players are the rarer ones. 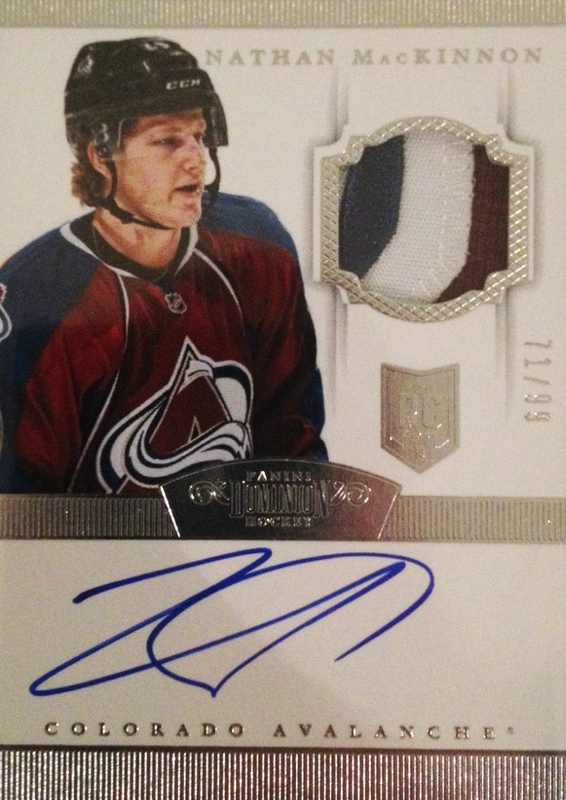 Highlights include Nathan MacKinnon, Tomas Hertl, Alex Galchenyuk, Nail Yakupov, Jonathan Huberdeau and Sean Monahan. 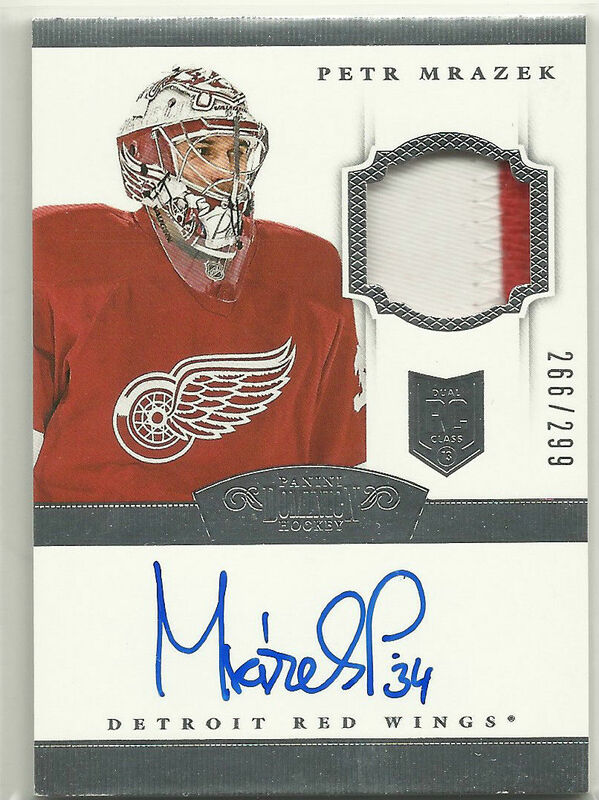 The RPA portion of the Dominion checklist starts at #131 and runs through #209. 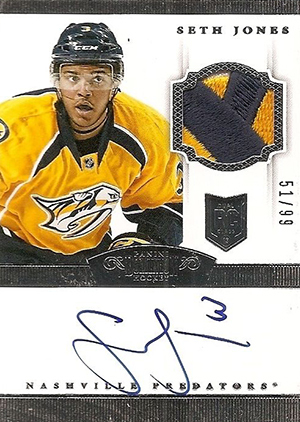 However, there are several gaps throughout. 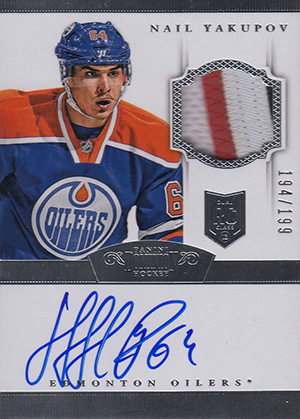 Collectors have a total of 68 cards to chase. 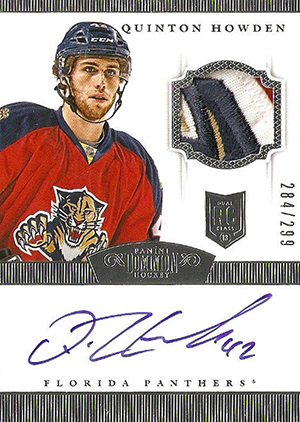 One is included in every 2013-14 Panini Dominion Hockey box. 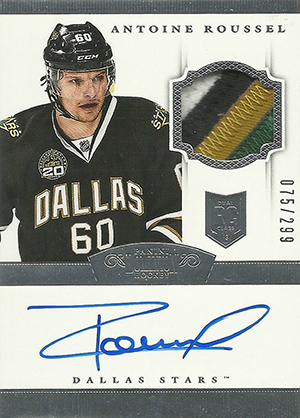 Parallels include Gold (#/50), Emerald (#/5), Black (1/1) and Printing Plates. 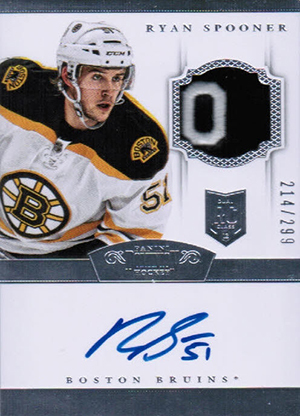 Below you can take a detailed look at the set with a massive gallery, comprehensive checklist, redemption info and more. 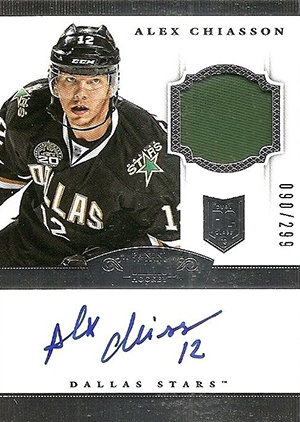 Please note that redemption cards are not pictured. 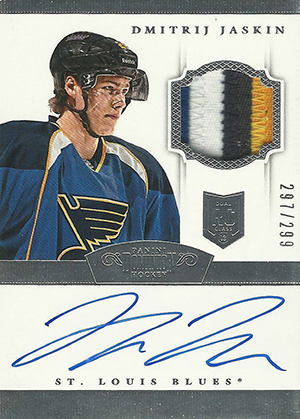 #172 Thomas Hickey and #198 Vladimir Tarasenko were not available when the gallery was compiled. 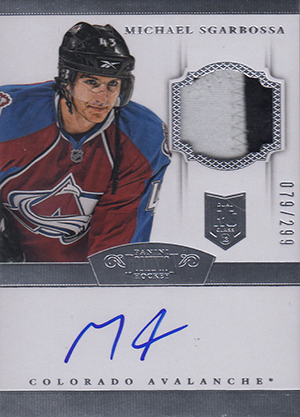 The following numbers do not exist: 142, 145, 153, 158, 163, 185, 186, 193, 194, 195. 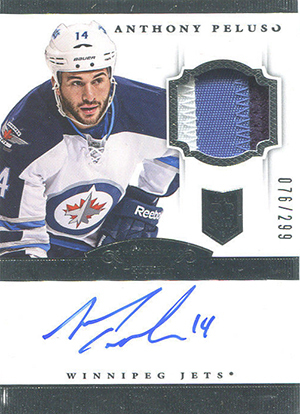 The following cards are confirmed redemptions. 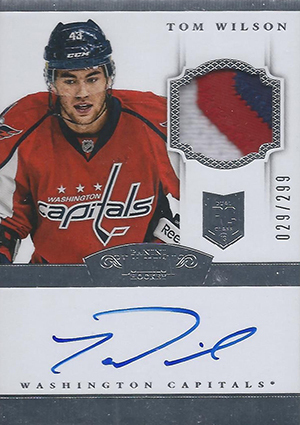 13-14 PANINI DOMINION ROOKIE PATCH AUTO #224 DYLAN McILRATH 46 99!!! 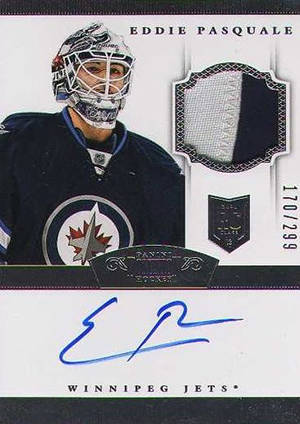 Hello I am collecting the rookies from this set but I have come across a few cards that do not appear in this checklist (Devane /99 Toronto) for example. 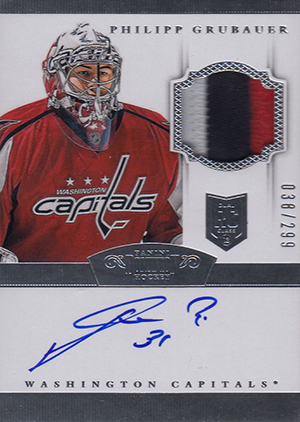 They look exactly the same as the cards in this Dominion set. 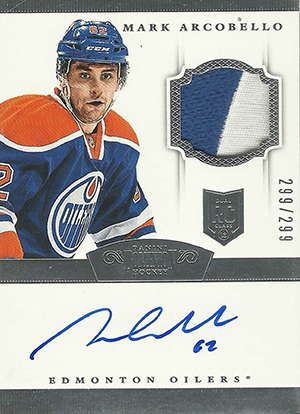 Is there another checklist from another Panini product that shows all of these cards? 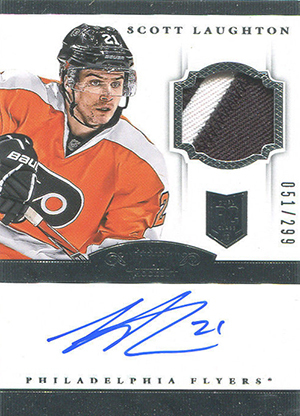 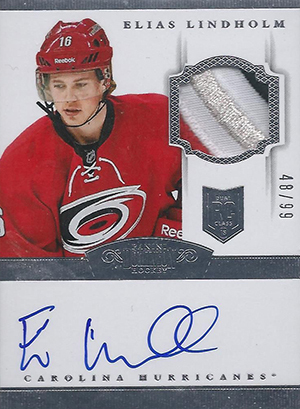 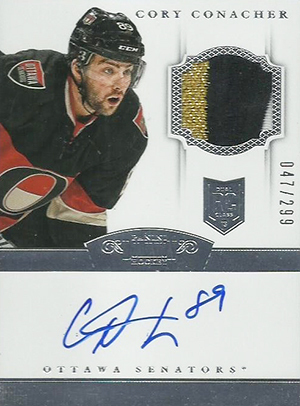 Stewart Grayburn � This checklist is for the Rookie Patch Autograph cards that were released in 2013-14 Dominion Hockey. 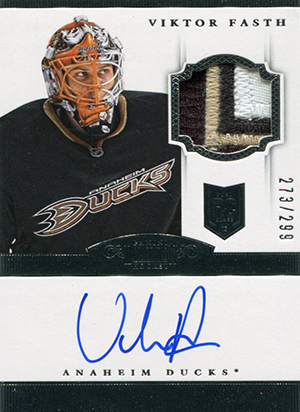 An update to the line was included in 2013-14 Rookie Anthology – https://www.cardboardconnection.com/2013-14-panini-rookie-anthology-hockey-cards. 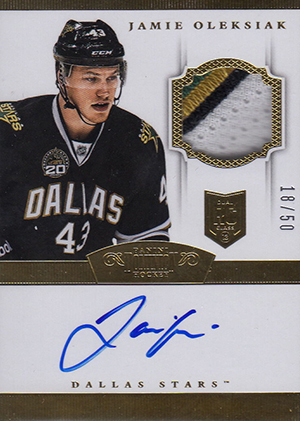 This is where the card you referenced, 223 Jamie Devane-Toronto Maple Leafs #/199, came from. 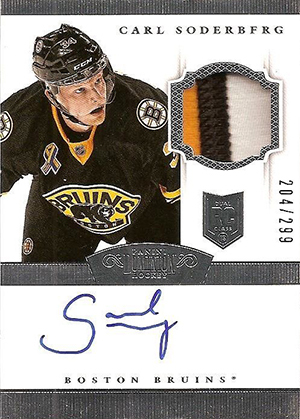 Hi I was just wondering if anyone noticed the error on card 141 Carl Soderberg? 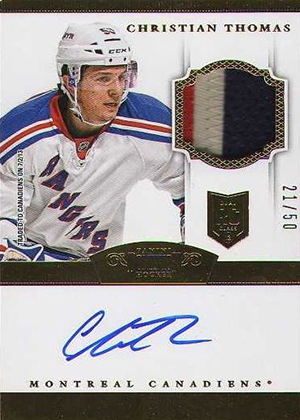 His name is spelled CARL SODERBFRG at the top. 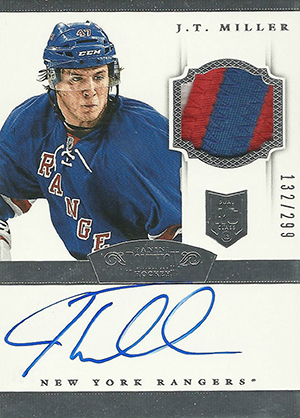 I have one and looked around but did not see anyone talking about it.